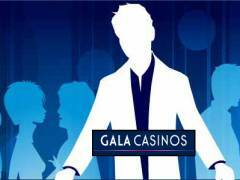 The Gala Riverboat Casino at Broomielaw has something for everyone; if its high stakes you're looking for then the Salon Prive is just for you where you can play for large cash prizes. Newbies can check out the Casino Magic Special - a fun way to learn to play casino games. The casino has multiple gaming choices including a Jackpot Zone that showcases the very latest in slot machines, Poker, Roulette, Blackjack, Craps and much more. The casino features the newly introduced Air Lounge where you can watch live sport on giant plasma screens. For those looking to celebrate in a group, try the casino's private dining room for parties of up to 50 people. The casino is conveniently located; it's close to several bus routes and the Glasgow Central Railway Station, making it a great place for a night out. No membership is required to enter Gala Casinos though there is a dress code; smart casual, no sportswear or football colours. Guests may be asked for age proof and will have to provide photo identification. Whilst membership is not mandatory, being a member of Fortune, the Gala loyalty program, offers several advantages. You can earn points and redeem them in any of the several Gala Casinos across the UK, so no matter where you are, you can still take advantage of the program's benefits. You can redeem your points on games, food, drink and even gift vouchers that can be used at over 100 high street retail outlets. The casino opens at 3pm and closes at 6am. The A La Carte Restaurant offers an eclectic mix of traditional and contemporary cuisine. Try the Dixie Deal set menu complete with entree, main course and desert at value prices. The South American Grill menu includes the popular Riverboat Mixed Grill. Celebrate the evening at the Epernay Champagne Bar with their range of Moet & Chandon champagnes. The Jeroboam, containing 24 glasses of bubbly, is the perfect accompaniment to a big win. The bar tenders at Gala know all about the art of making that perfect cocktail, so it is a Kir Royale you fancy or even a Mojito, all you have to do is ask! Gala offers a special private dining room that can seat parties of up to 50 people. Speak to the management for the best package that suits your requirement and your budget. From live entertainment, card room specials, poker tournaments, to special lunches, promotions and more - the casino has it all. There is always something exciting going on at the Gala Riverboat Casino.